Learning how to play the violin as an adult beginner is not easy. Because we feel like it is important for you to know just how challenging this process can be, we have decided to lend you a hand. As a result, we have prepared a short but inclusive article that contains all the info that you should know on the topic. 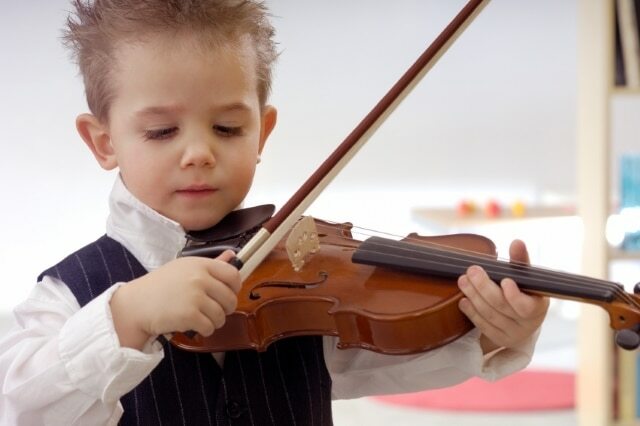 First things first, all novice players should know that learning how to play the violin is not, by any means, an easy task. Because of this, you shouldn’t expect to immediately start sounding like the violinists that you see in movies. Even more so, teachers encourage beginner adult learners not to be embarrassed to play simply because they are not good at doing it. Instead, you should embrace the fact that you will make mistakes and get things wrong in the beginning. After all, it is all part of the learning process. Plus, keep in mind that a teacher knows that making mistakes is natural and, as a result, he/she will help you improve every time you make an error. So, rather than feeling judged, you should try to adopt a more relaxed attitude when in the classroom. 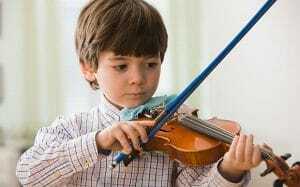 Although you might not expect it to be so, all previous learners agree that playing the violin is a rather physical activity that involves dexterity, strength and even muscle memory. In order to help learners master various techniques, most teachers give them special exercises that they have to repeat time and time again. To become fluent when playing this instrument, it is necessary that you practice the indicated assessments and exercises on a daily basis. Also, if you want to play a certain musical piece perfectly, you should dedicate quite a lot of time for practicing it. This is the only way to get used to the bowing technique and to the right way to place your fingers on the strings. Even more so, once you’ve memorized a piece, you have to keep repeating it daily. After all, the great Suzuki claimed that the right number of repetitions one needs per piece is 10,000. It is equally important that you have a good relationship with your teacher. Although you can learn quite a lot of things from videos that you can find online, investing in private lessons is essential, especially because a specialized teacher can listen to you play and, consequently, can help you improve. Also, he/she can help you adjust your practice routine in accordance with your particular needs. Also, an instructor can help you find a violin that sounds good. As a beginner, you will most likely not know what features are important in an instrument of this type. What is more, before you order a model that you found online, it is also advisable that you go to a music store and that you see the violin in real life. This way, you can make an informed decision. Apart from a violin, there are some extra accessories that you should purchase if you are determined to learn to play this instrument. Firstly, you should get a case that you can use to carry the instrument around. If you are a beginner, it is best that you acquire a model that has a sturdy construction and that is not necessarily expensive. A shoulder rest might help, especially at the beginning when you are prone to feel your body adapting to the weight of the instrument. However, you can play without one which is why some argue that a piece of equipment of this kind is not obligatory. Purchase a high-quality practice mute. If you intend to practice for hours on end while at home, a practice mute is the way to go if you don’t want to get noise complaints from neighbors and family members. On top of that, an extra set of strings is also necessary as you will certainly go through them at a fast pace. If you don’t want the sound quality produced by the violin to fade in time, the experts recommend that every time you finish playing/practicing, you cover it with a soft cloth that can remove rosin. If you often find yourself to be out of beat, you should purchase a metronome. Metronomes can help learners to play in tempo at a steady beat, which is essential, especially if you want to perform in an orchestra later on. Those that want to learn how to read music notes should also get their hands on specialized books that combine the action of learning the notes with that of practicing various songs. If you don’t know what book to order, it is advisable that you ask fellow learners and/or your teacher as he/she can supply you with the necessary suggestions. As many current and previous players have pointed out, differently than a guitar, a violin is an instrument that is very difficult to master. Because of this, there will be numerous times when you will likely feel disappointed by the lack of progress that you make. However, whenever you start experiencing these feelings, it is best that you remind yourself that this is only natural. 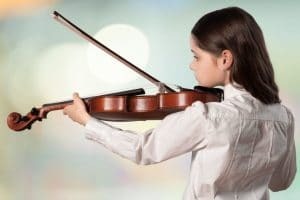 If you need extra encouragement, your love of classical music will certainly help, as this pastime activity will give you the motivation that you need to start practicing again. Additionally, you should always remember that numerous people around the world already know how to play this instrument better than you can. Yet, you should not perceive this as being a bad thing. Instead, keep at it and remember that this is not a competition. Finally, always remember that you are not alone. There are numerous people that you can get in touch with that share the same level of motivation and of love for classical music like you. So, reach out to them and learn together. If you need help tuning your violin, our most recent article can be of help!